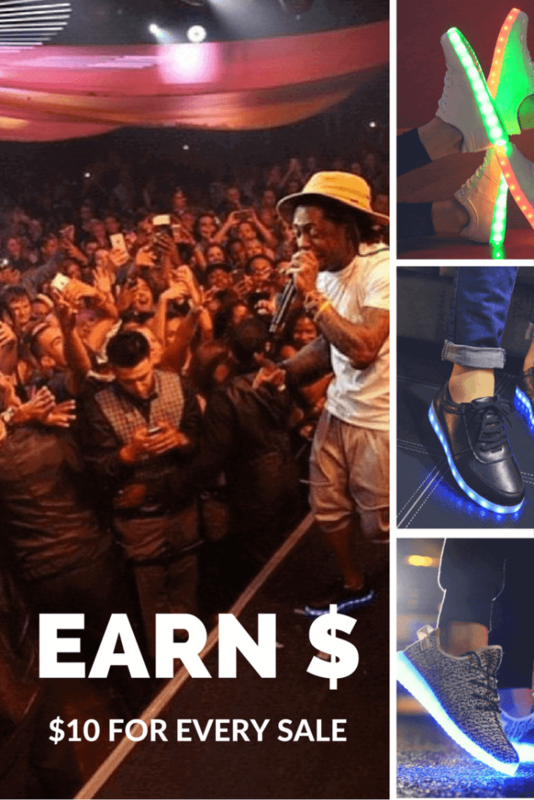 Would you like to earn $10 on every sale you bring to Bright LED Shoes just by simply telling your friends and promoting our sneakers! The Bright LED Shoes promoters are dedicated to spreading the word about our light up shoes through social media, blogs, and events. Start earning today see below for more details. Fill out the form below to request access to our Ambassador Page and we will setup a profile for you with special promo codes. Share your promo codes with your friends and family and hook them up with 10% off their Bright LED Shoes purchase. Earn $$– For each pair of shoes that you sell you can choose from receiving either $20 in store credit or $10 cash. Get Paid – You can request to redeem your commission anytime you have a balance over $30 through Paypal. Get added to an exclusive monthly mailing list to receive promotional updates and a first look at up and coming new Bright LED Shoes styles. Top 5 ambassadors for the month get will receive an additional cash or credit bonus. The top promoter each month will get their choice of free LED shoes or a commission increase. You will be able to offer your friends and family a 10% discount off the best light up shoes.